National Geographic’s Kids Club is hosted weekly at many malls in Arizona, and it’s free! 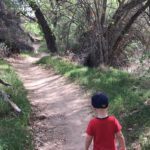 Family friendly bike rides in Phoenix – we have quite a few favorite trails! Take the kids pony and horseback riding, or go on a wagon adventure! Take a DIY craft class at Pinspiration! They also host birthday parties in Phoenix and often offer kid friendly events. 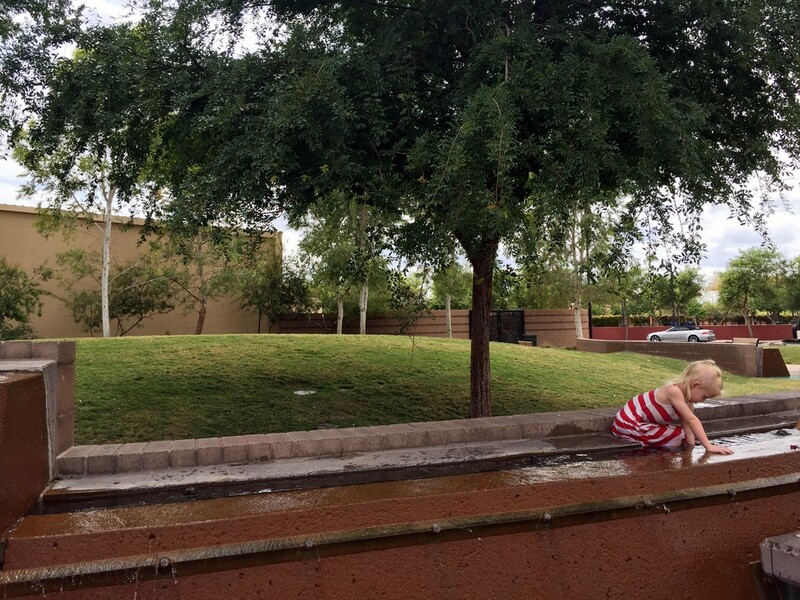 Take the family on a Phoenix themed scavenger hunt with Urban Adventure Quest! 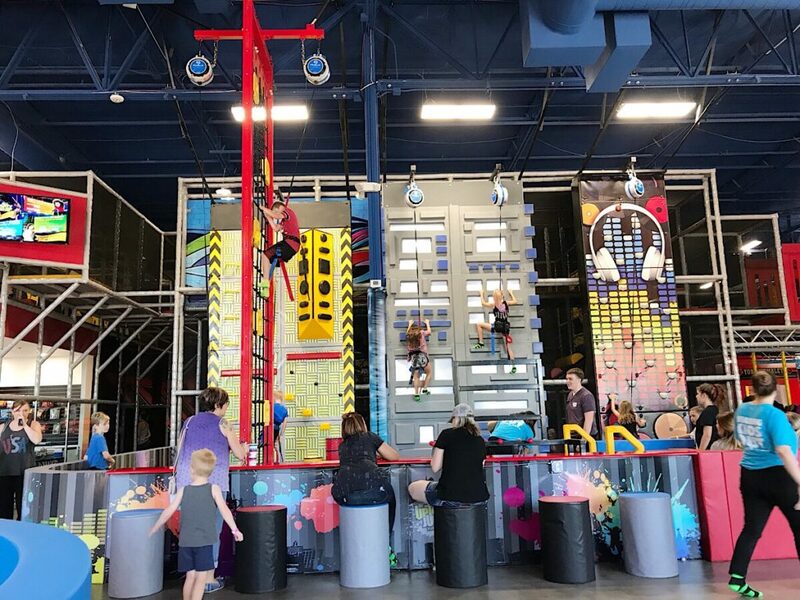 Visit Urban Air Auwatukee and see why they are called “the ultimate indoor trampoline and adventure park”! Take acting classes or see a show with Christian Youth Theatre. The Deer Valley Petroglyph Preserve is an archaeology museum and desert preserve, giving tours to families. 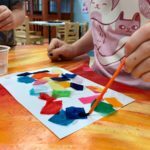 Color Me Mine has painting classes and more for kids and the whole family. Altitude Trampoline Park has family fun with a variety of trampoline activities. 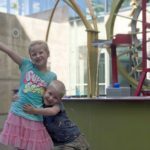 Visit the Idea Museum for indoor playtime, arts and crafts, and more. Take your kids to Howie’s Game Shack for computer or XBox gaming! Check out the Arizona Museum of Natural History. Take the kids to Amazing Jake’s Mesa for lots of indoor activities. Bring the kids to Sunsplash for fun in the water! Brush up on your skating skills at Skateland. Pioneer Park is an epic playground that will keep your kids entertained for hours. Tour Native American ruins at Mesa Grande Cultural Park in Mesa. Learn about the pioneers of Mesa at the Mesa Historical Museum. Wander around 9,000 rose bushes at the Rose Garden (at Mesa Community College). Explore the hiking trails and desert beauty at Usery Mountain Park. Desert Trails Park is perfect for beginners and experts with trails, pump track and kids skill track for biking. Build family camaraderie by working together at Escape Room Arizona. Be treated to a professional organ performance and yummy pizza at Organ Stop Pizza. 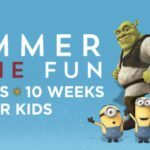 Take swim lessons with Swim Kids! Uptown Jungle Fun Park is the indoor place for all ages to climb, jump, and slide! Get up close and personal with airplane and artifacts from WWII at the Arizona Commemorative Air Force Museum. Jump with friends and family at Krazy Air, an indoor trampoline park. New to Mesa is Wobble Tots, boasting the largest indoor play area in Arizona! Treat your sweet tooth to snacks at Soda Rush. Find a miniature golf place! Cracker Jax has this, and go karts and more. Sky Zone Trampoline Park is non-stop action indoor fun with a foam pit, warrior course, toddler zone, and more. Check out Pump It Up in Scottsdale to get out the wiggles. Playtime Oasis is a great indoor play area for children under 6. They also have an awesome toy store! Take your family to Butterfly Wonderland to see butterflies. OdySea Aquarium has opened in Scottsdale! It’s the biggest aquarium in the southwest. Meet and swim with dolphins at Dolphinaris in Scottsdale! Meet up with friends at Mini Social, an indoor play area for ages 6 and under in Old Town. Ride a train or carousel at McCormick Stillman Railroad Park. Learn how to be a cowboy at Macdonalds Ranch. They also have a fabulous pumpkin patch every October. Take a family outing to the Sugar Bowl, a 1950’s style soda fountain, for lunch or ice cream snacks. Try ice skating any time of the year at Ice Den Scottsdale. Explore the many hiking trails at McDowell Mountain Regional Park. There is also a nature trail, perfect for toddlers. We Rock the Spectrum is the perfect indoor play place for autistic children, and any child under 10. Have a birthday party, or just visit and shop all things unicorn (including gourmet cupcakes) at Unicorn Cupcake Boutique. Explore the Mirror Maze with friends! Pangea: Land of the Dinosaurs is fun if your kids are REALLY into dinosaurs. 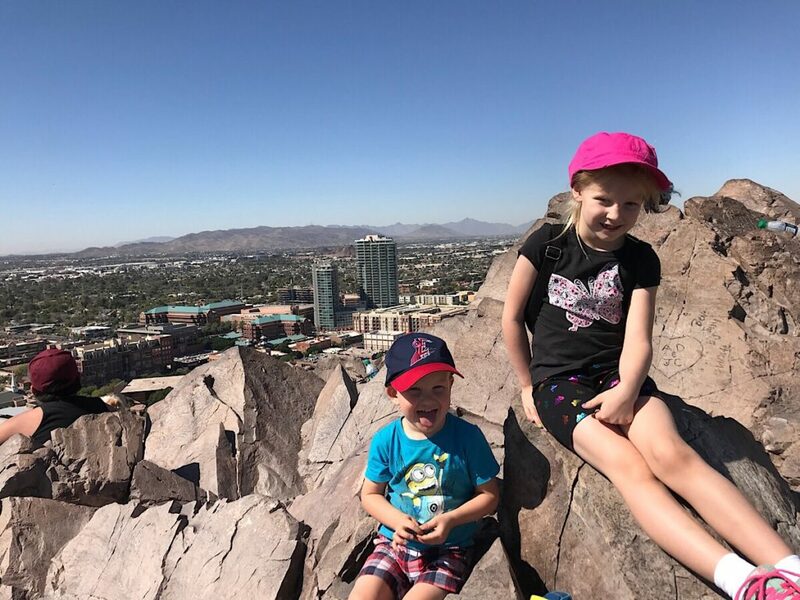 Climb the heights at Pinnacle Peak — this is a hike kids can do and the view is awesome! 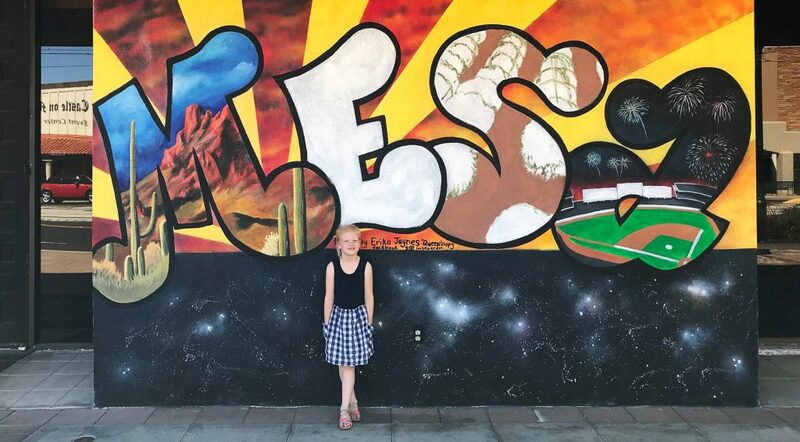 Spend a day exploring in Old Town Scottsdale, with parks and museums and food and more. The Stomping Ground in South Scottsdale is an indoor play area with bouncy houses, a bike area, toddler section and more! Go shopping and check out the splash pad at Scottsdale Quarter. Scoops and Joy Lounge offers a free surprise on every ice cream scoop. It’s adorable. And Dole Whip is served! Rachel’s Young At Art studio offers art classes for all ages of children. Scale heights at AZ on the Rocks, an indoor rock climbing gym. Let the kids play at Cafe Au Plait, an upscale coffee shop with an indoor play area. Schedule a tour with the Phoenix Herpetological Society and get a hands on experience with a variety of reptiles. Luv 2 Play in an indoor play area, perfect for the summer or a rainy day. Take a gymnastics class or join open gym time at Surprise Angels. Make and decorate a pottery dish at Mad Platter Pottery. Visit the two local libraries, Northwest Regional or Hollyhock Street, for books, events and more! Join open gym time or take a class at Bling Tour Cheer and Dance Company. Summer months are so fun at Surprise Aquatic Center with their water slides, pools, water features and more. Surprise has some fantastic playgrounds, and some with splashpads as well. Year round swimming lessons are available at Aqua Tots. Just Bouncing Fun is great rental place for birthday parties and events! They even have water slides to rent. Go swimming at Big Surf Waterpark! The Kiwanis Wave Pool is extremely popular, and is perfect for kids! There is also a huge shaded splashpad at the park. Check out Main Event Entertainment! Bowling, laser tag, video games, and food! Check out the indoor fun at Pump It Up! Childsplay is Tempe’s professional theater company whose chosen audience is children. Performances take place at the Tempe Center for the Arts. Enjoy the AZ Heritage Center Museum at Papago Park with exhibits for adults and kids. Explore Singh Meadows, a hidden gem of Tempe, with yummy food, a farmers market, lawn games and more. Cuddle cats and play with fuzzy felines at La Gattara Cat Lounge. Join a parent and baby class at Baby Parent Steps. 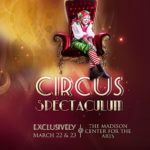 The Scene is a pop up art experience full of color and fun! Desert Breeze Park has a train, carousel, play areas, and a lake with ducks… always popular! Visit Rawhide Western Town, for a real cowboy experience! Visit Playtopia at Tumbleweed Park, a free, 2.5-acre playground for kids. Go on a guided bird walk at Veteran’s Oasis Park (first Saturday of every month from November through April). Coming in Summer 2019 is the Crayola Experience! The splash pad under the Gilbert Water Tower is really popular. Take the family on a walk around the beautiful Riparian Preserve, a true oasis in the desert. Guided bird walks are also held October-March. 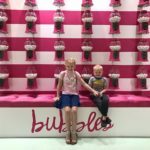 Get the wiggles out at Bounce U – they also host birthday parties! Meet friends at FlipSide Entertainment for bowling, laser tag, arcade games and more. Watch a movie for $5 at Fat Cats, then enjoy bowling, arcade games and yummy food! Have Game Truck come to your next birthday party to wow the kids with video games, laser tag and bubble soccer. Savor melt-in-your-mouth Belgian liege waffles at Waffle Love. Enjoy the playground, train ride and walk around the lake at Freestone Park. Challenge your brain and try to exit at Cluemaster Escape Rooms. Touch a piece of the World Trade Center from 9/11 and learn about this important event in America’s history. Bowling, mini golf, arcade games and more are the highlight at Main Event! Try ice skating or ice hockey at AZ Ice. Zanjero Park has a fascinating nature corner about burrowing owls. Tour an organic farm at Agritopia (they also have citrus u-pick events and markets). Thursdays are food trucks and fun at Mother Nature’s Farm for just $3/person! Ready, Set, Play! is a fun indoor play area (inside the SanTan Village Mall) for ages 6 and under. See a play at ActorsYouth Theatre in Gilbert. New to the SanTan Village Mall is Awesome Toddler Indoor Play Area, for ages 5 and under. They also do birthday party rentals with their soft play equipment. Imagine 3D Mini Golf is a great family outing of indoor mini golf, with a unique twist! Take the kids to Wet ‘N’ Wild Phoenix for a day of fun in the water! If you drive west from Glendale, you can explore Wildlife World Zoo, Aquarium and Safari Park. The Arizona Doll and Toy Museum has a modest collection of dolls and vintage toys. Take a family hike at Thunderbird Conservation Park. Combine a visit to the Glendale Main Library and the nearby small but beautiful Xeriscape Botanical Garden. Take a free train ride on Sundays with the Maricopa Live Steamer group, or host your birthday party there! Enjoy a family outing of roller skating at Great Skates. Take a free tour of a candy factory at Cerreta Candy Factory. Kids (and adults) can take archery classes at Corner Archery! The Valley Golf Center is a great place to hit some golf balls. Visit Friendship Park and play in the playgrounds and near the pond. Go bowling at Brunswick in Avondale. Make cookies at The Cookie DoughJo. Visit the Rio Vista Recreation Center and enjoy the awesome outdoor playground and splash pad. Check out Sky Zone Trampoline Park in Peoria and get active! Check out the new Pioneer Community Park splash pad, and they also have a baseball area, pond, and walking trails. Learn about space at the Challenger Space Center. Have fun at the Pump It Up location in Peoria. Kids Alive is the youth musical theater training program at Theater Works. Check out Theater Works for fun theater options for kids. All the bouncy houses at Jumpers Jungle will delight children of any age! Drive the Apache Trail to Lake Roosevelt! Continue on from Roosevelt Lake and let the kids explore Indian dwellings at Tonto National Monument. The annual Arizona Renaissance Festival is fun for the whole family! Take a scenic boat cruise on Canyon Lake with the Dolly Steamboat. The 4th highest fountain in the world, at 560 feet, belongs to Fountain Hills. Also near the fountain is an epic splashpad and playground! It’s small, but this free botanical gardens is a great way to introduce children to desert plants. Learn about local history at the River of Time museum. Hike the popular Dixie Mine trail. Daisy Mountain Railroad, at Anthem Community Park, is great for kids. Work together as a family and solve puzzles in the North Valley Escape Room. Legends Bar and Grill has $5 kid’s meals! There are three awesome playgrounds in Anthem, some with splashpads. Read books at the North Valley Branch library. Between Anthem and Phoenix is the Pioneer Living History Museum. Also near Anthem is Lake Pleasant, for boating and fishing and hiking. Visit Boyce Thompson Arboretum in Superior where desert life isn’t all cactus and tumbleweed! The World’s Smallest Museum will teach children about local history. Go off road in the desert with Superior Tour Company. Discounts for children 12 and under! Meander on the paths at Jewel of the Creek. Don’t miss the kid sized cave along the trail! Frontier Town is a reproduction of an Old West town, with costumed performers and shops. 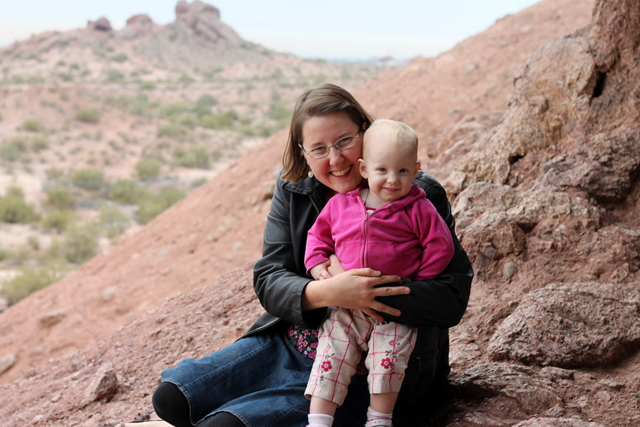 Take the family camping at Cave Creek Regional Park. Pick pumpkins at Schnepf Farms (they also have a U-pick garden with vegetables, peaches). Founder’s Park has a huge splash pad, playground, skate park and more, perfect for all ages! Hike at San Tan Mountain Regional Park. Carter’s Farm Mobile Petting Zoo is available for children’s parties and events. Check out the Family Theatre Series at Queen Creek Performing Arts Center. Bring your kids to some of the free events hosted by the Queen Creek Library. We have some more ideas on our sister site: placestoseeinarizona.com which may interest you. As well as a list of things to do in Tucson with kids. Thanks for visiting Phoenix With Kids. This site is written by a family of four living in Scottsdale. We aim to update this list every week with new ideas as we come across them. Email us if you know of a fun activity we’re missing. Follow @phoenixwithkids on Instagram where we post every day. Or, subscribe to us on YouTube!